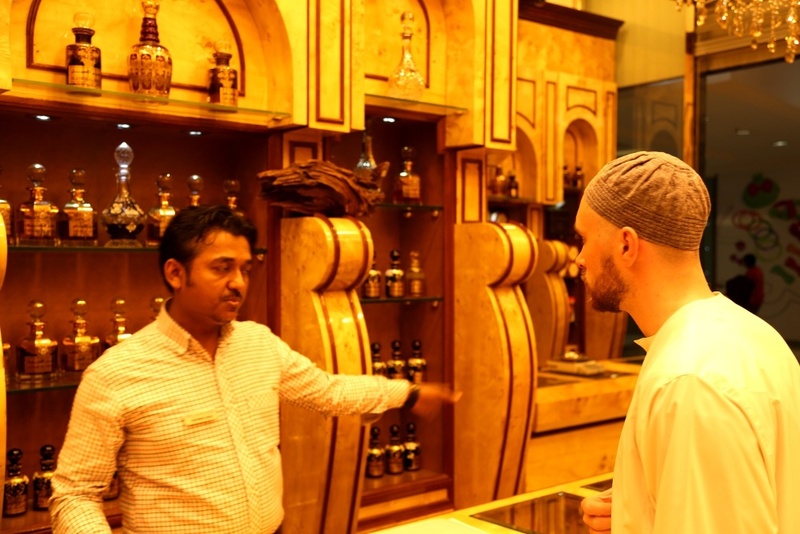 This is Part 2 of Arabian and Islamic views on fragrance. عود, Agarwood, Oud, Aloeswood, Gaharu, and Jinko are all names for the Aquilaria tree which grows in South East Asia. This tree can be invaded by tree eating insects. To self-inoculate the tree produces a fragrant resin to repel the invaders. Not every wild tree produces resin and the older the tree the better the resin. The best resin was found in trees that were 60 to 80 years old. These trees have been over harvested and it is now rare to find a wild resin producing tree. They have all but vanished. 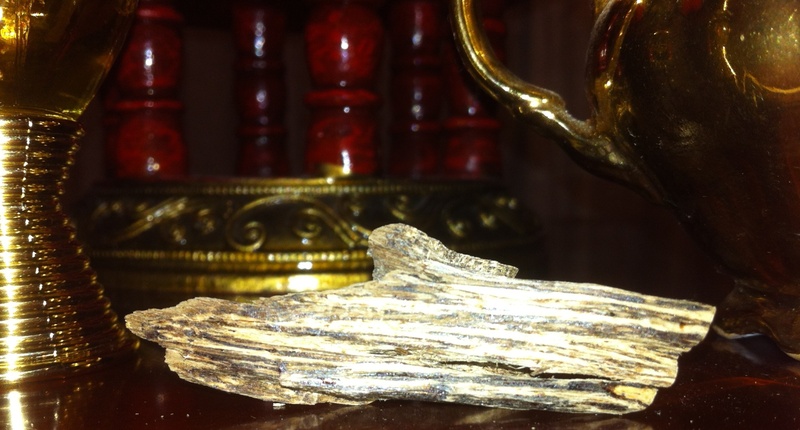 The best agarwood is called sinking wood as the amount of resin causes the wood to sink in water instead of floating. This grade of wood is usually reserved for Japanese incense. Chinese carvers also use this grade of agarwood for making fragrant beads and statues. Oud wood is made into chips for fragrant burning. Oud oil is distilled from the tree resin and used as a fragrance and perfume ingredient. Today we are talking with Ensar from Ensar Oud. Ensar Oud specializes in Artisanal Oud oils that are traceable to specific jungle locations. In April 2012 Ensar rang the bell on the end of wild harvested oud by traditional gaharu hunters. He then researched organic Oud sources and re-imagined his business into the 21st century. Oud Artisan Ensar at work. Let’s zoom over to Medina now for a chat with Ensar. Ensar: Peace to you too Jordan. What are the smells of Medina? Jordan: This is known as Black Magic wood because it is impregnanted with synthetic scent and streaked with black paint to give the impression of Oud resin. Ensar: Indeed. As for the oils that you smell here, that’s an even bleaker story. I hate to say, none of the stuff you find is natural. Everything (literally) is a scent chemical, whether it be from the so-called ‘big houses’ or the small timers tending the corner shops. The French perfume industry is booming; that is certain; and Medina is one major outlet. 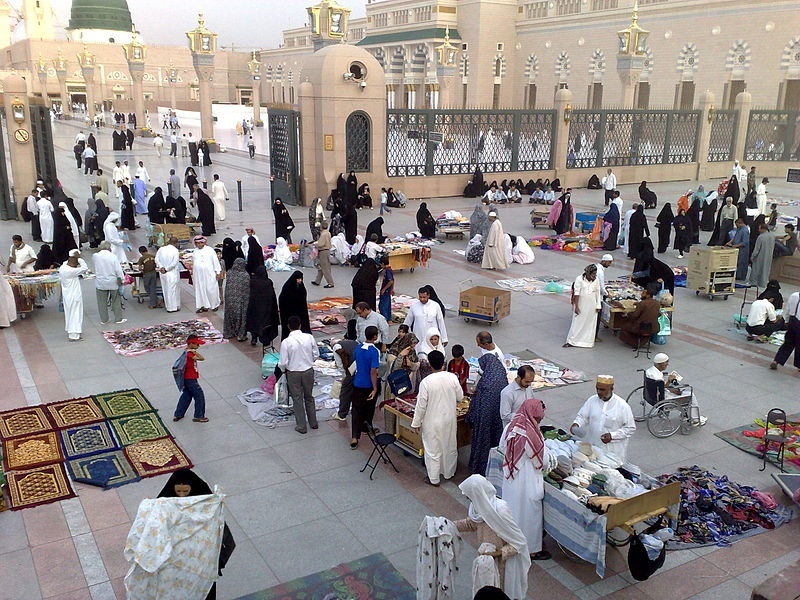 Apart from all that, there is another smell in Medina. It is the smell you savor if you happen to doze off on the ground in the holy mosque of the Prophet. And you smell it in the air. You smell it in your hotel room. You taste it. It is the smell of Paradise. That peace that enters the heart when you know there are no worries or concerns here, that all is good and you have just entered an abode of uncanny serenity. Everyone feels this when they enter Medina. How do Muslim men think of fragrance? The Prophet (peace and blessings be upon him) said: ‘Beloved to me from your world are women and perfume, and the coolness of my eye is in prayer.’ This tradition famously states the three most beloved things to the Prophet from worldly life. Clearly distinct types of things, if you think about it. Women are people, our partners and companions in this life. We speak to each other, feel together, serve each other, bond. The prayer is an action, involving bodily and spiritual states, motions and words. It is something one does, rather than something one possesses. Of the three pleasures, then, perfume is the only tangible thing beloved to the Prophet, peace and blessings be upon him; the only worldly possession that he cared for. 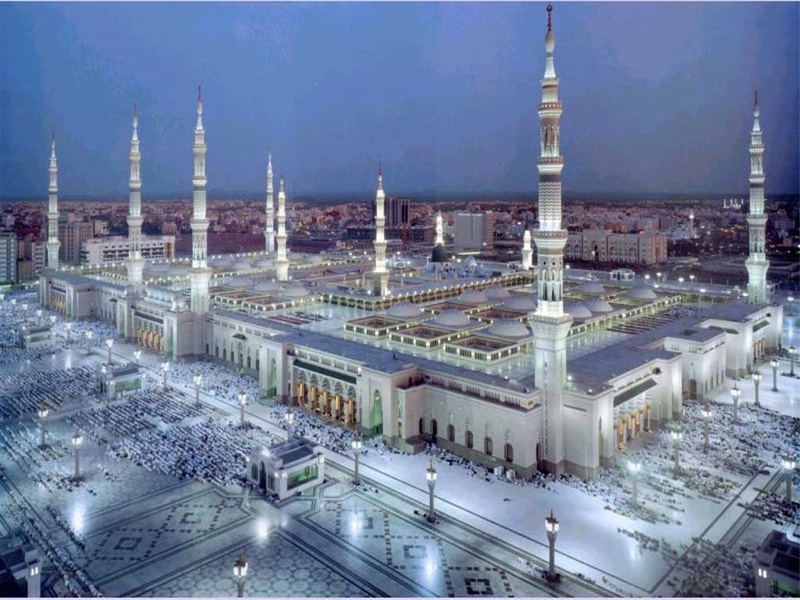 Of the men who followed the Prophet, few were as knowledgeable of the full scope of Islam as his own companions. Of these men, in turn, very few were scholars well versed in religion. But the scholars among them were virtually drowned in fragrance. The companion Ibn Masud, for example, needed no announcement when he arrived somewhere, and people could usually tell he had visited a place well after he’d left, from the fragrance that still lingered in the air. This love of fragrance is like a second nature in the hearts and souls of Muslims. Those versed in religion know full well that to wear perfume is a part of the religion itself. The only issue nowadays is that the quality of what one wears is not often taken into account, and like anywhere else, people in the Muslim world have lost touch with nature and are for the most part wearing fragrance oils that get imported directly from the laboratories of the French perfume industry – radically different scents to what the Prophet used to wear. Jordan: Why is incense burnt in the Middle East? Is this for fumigation or for spiritual reasons? Jordan: Do you scent your beard? Under your chin? The way I apply Oud oil is by first taking a swipe on the inside of my left wrist. Then I rub the insides of both wrists. Then I apply that sheen to the left and right sides of my neck, right under the beard. I do not apply any Oud to the beard itself as the scent would be too overpowering. Jordan: What terroir of Oud are you distilling next? We have some logs of incense grade wood, of the quality that was offered by Baieido back in the day, going into the boilers this very week. They were harvested in Chanthaburi Province (in Thailand) a few years back, and are the last specimens of wild Thai oud wood of this calibre that I’ve seen in a very long time. 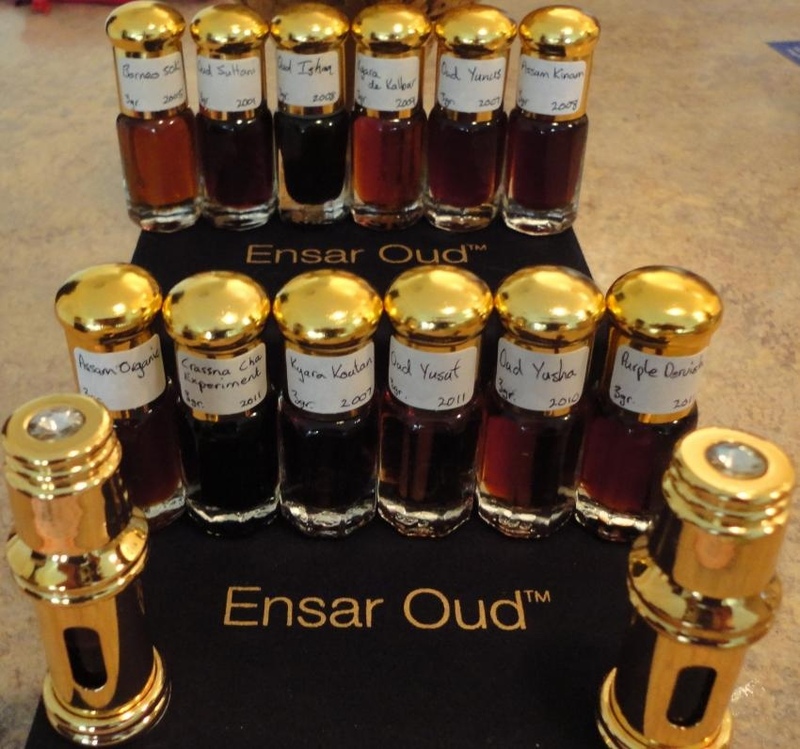 Jordan: What are the current Top 3 Ensar Oud oils? Oud Yusuf is by far the most popular Ensar Oud offering at the moment. The Oud is distilled from trees that are never felled, but simply extracted from shavings of the well infected portions of the trunk. There is only one artisan in the entire agarwood producing world who cares that much about his trees, and he is the man behind our Oud Yusuf. The scent is redolent of lilacs and lilies abloom, laced with the creamiest vibes of Cambodi addictiveness. I don’t think even the long gone legends like Oud Royale and Borneo 3000 were as popular as Oud Yusuf. Oud Sultani, the sister oil to Oud Royale I, is perhaps the most intoxicating oil I’ve ever offered. A celestial melody of perfection, it is Perfume itself — yet it is 100% pure, single origin Oud oil, extracted from the very highest grade of Oud wood possible. This ancient distillation ranks as the most unearthly fragrance in the world at the present moment, and with very good reason. Those who have tried it cannot stop singing the praises of its aroma. Qi Nam Khmer is an upcoming release from wild incense-grade Cambodian oud wood done in 2012. You have not smelled genuine Cambodian Oud oil. (Yes, you!) Not if you just recently started your Ouducation; and by ‘recently’ I mean anything past 2000. There are distillers out there selling ‘Cambodis’ left, right, and centre, old ones and new ones, ‘Royal’ and commonwealth – but they’re all Thai oils from cultivated wood that have nothing to do with the scent of genuine wild harvested Cambodian agarwood. 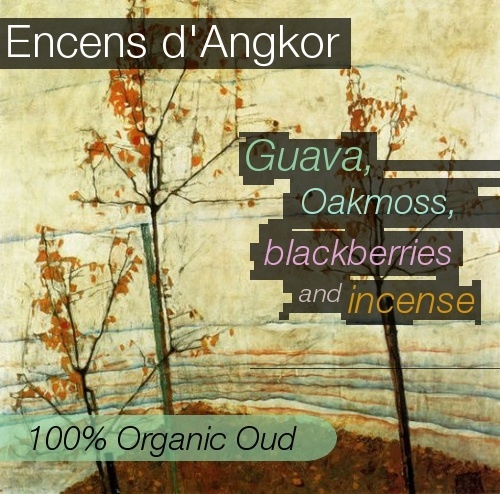 I am not ashamed to admit, until I smelled Qi Nam Khmer, I’d only imagined what real incense-grade Cambodian Oud could have smelled like, way back in the day when it was available. Jordan: Do you extract Oud oil by steam distillation or hydro? Ensar: I prefer hydrodistillation to steam. There aren’t many tweaks one can conduct in steam extraction apart from playing with the water, and that can get really old really fast. Whereas with hydro distillation you have a proper craft in your hands. From the material of the pot to the condensers and ducts, you can get real technical and elicit notes of wildly different profiles from the same raw materials. Of course, since I mentioned that with the launch of Oud Yusha & Encens d’Angkor, everyone became an expert overnight and started distilling ‘radically different profiles’ from the same batches of wood. Jordan: What about the aging of Oud? Ensar: There is a subtle difference between aging and oxidation, and unfortunately it is one most people cannot discern. Most oud that gets sold is force aged. 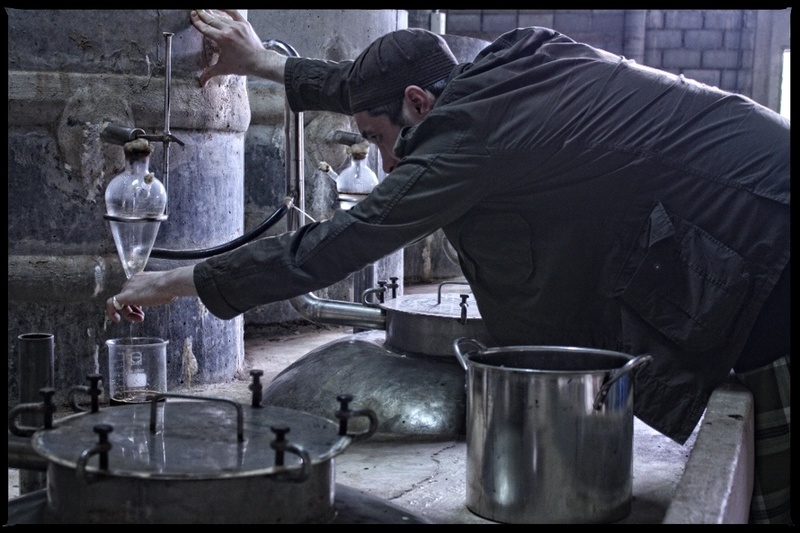 The vendor will distill his oil, leave it to ‘air’ for five to six months, wait until it is the next calendar year (‘I distilled it last year’) and then sell the oil as a fully mature specimen of Oud oil. The full potential is not reached. There is a synergy that happens when you carefully select the best raw materials, then really let your oud age. And I mean, let it age. I have oils from 2008 that are still aging, such as Oud Ebrahim and Oud Zachariyyah. I could have launched these oils in 2009, but opted to age them properly as such special raw materials deserved; in tightly sealed German pyrex, stored in a cool dark place. Jordan: Ensar, thank you for your time and for sharing your fragrant thoughts. Let’s catch up with you soon in Amman. Khuda Hafiz. In the video below Ensar explains organic Oud and Holy Perfume. 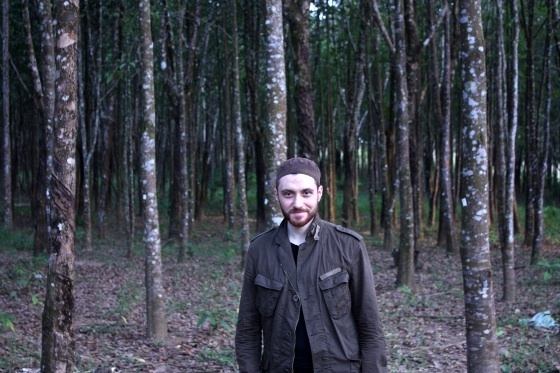 The end of wild harvested Oud has become the beginning of organically farmed trees. All over South East Asia there are plantations, many of which need several more years to age the resin. I would love to have an Agarwood plantation to pass on to the next generation. Wild Oud Trees are now extremely rare due to over-harvesting. They have also been harvested prematurely before the resin has reached it’s peak scent profile. Mysore sandalwood in India suffered the same over-harvesting tragedy. In Australia there is a native sandalwood with a different scent profile. Real Mysore stock is also growing right now in Australia on vast plantations and is almost ready for continuous sustainable harvesting. Ensar usually provides videos of the making of each oil from tree to distillation to bottling. A complimentary Oud chip for burning is supplied with Oud oil from Ensar Oud. The chips are from the same tree or harvest as the oil in the bottle. Oud wood chips are also periodically available separately. 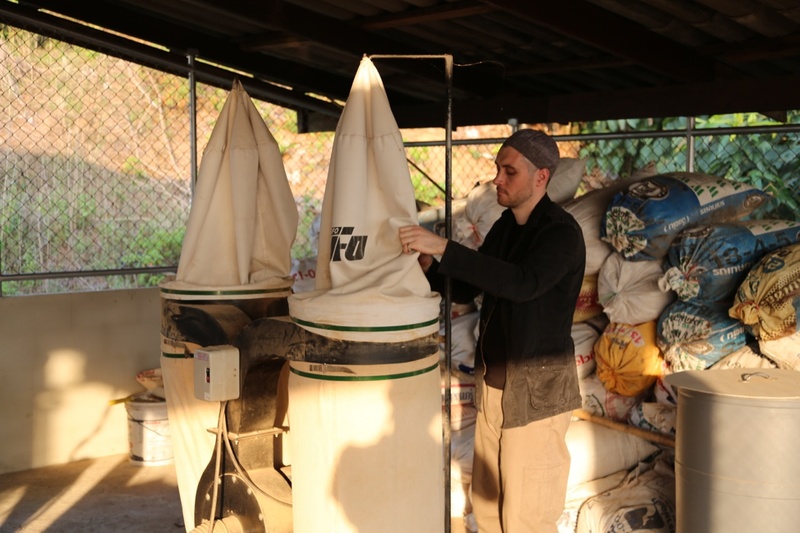 Very interesting information…I am happy to hear that sustainable oud plantations are cropping up….the connection between fragrance and spirituality really resonated with me in this interview…Ensar is doing great things! Happy News on this site! Oud chip burning is also used to aid meditation and prayer. 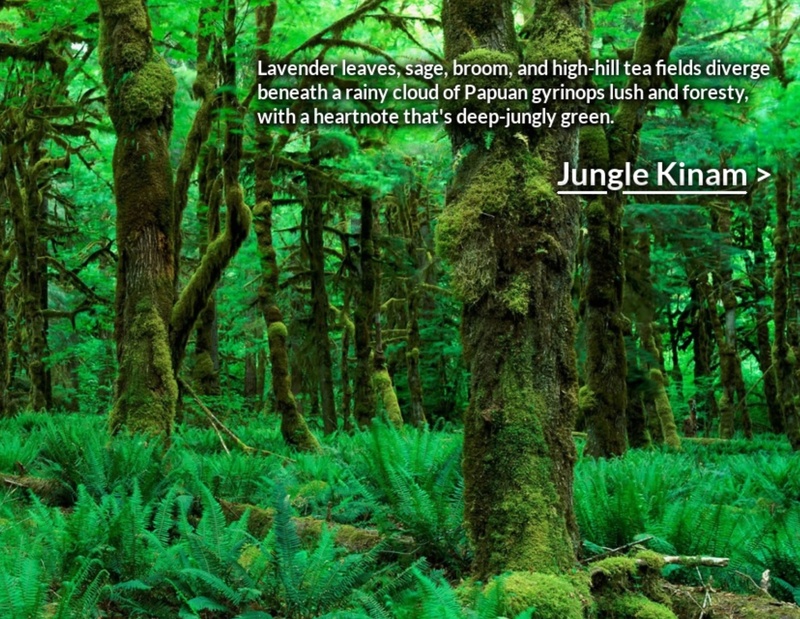 When I wrote this up I was wearing Khao Yai Oud from a 100 year old tree sourced from a Thai jungle. Good for creative focus. I thought I knew a lot about oud — it is, after all, central to Aphrodesia, although the variety in that story is totally fictitious. But at least half of what Ensar said was totally new to me. His ecological conscience and the care he takes in creating his products are both heartening and praiseworthy. May the Prophet (PBUH) smile upon him. Ensar is very intense. Hope to meet him someday. Here’s to Ecological Consciousness. Great post Jordan. I learned so much from this. You are a great teacher and I am really learning from your blog. I did too. Thank you for your kind words Lanier. As Whitney would say – I learn from the best and I learnt from you…where to find Carol Channing and Carmen Sevilla movies. That is a wonderful ouducation 🙂 Thank you for bringing Ensar’s interview to us. And we are both learning new words. I just mentioned this interview on Aphrodesia’s Facebook page. Thank you John. We have links now on this page ranging from endangered to sustainable and now fictitious Oud as well. Comprehensive! Thank you Jordan for this great article. I’ve had Ensar’s Oud on my wish list for this year since January when I found out about him! And I am definitely going to read Part 1 of this article as we know so little about the use of perfume in the middle east. Happy Reading to you Maxine. Thank you for zooming in. Stumbled across this article while doing research on oud, as I intend to start a small business retailing different perfume oils and oud here in Malaysia. I love your story and your dedication. I will definitely follow you. Apa Khabar Kuti? Please keep me informed of your plans. All the very best with your istana perfume. Borneo ouds can be very nice and are close to you as are all the Oud producing lands. Thank you for the interview with Ensar, Jordan. I’m very fortunate to own a bottle of Borneo 3000, which is a treasure that will last me a lifetime, as it’s amazing how much wear one gets out of a single drop of Ensar’s oud oils. I was also very fortunate to purchase a sample of his exquisite Kyara Khoutan. I’ve shared some of that with Christos of Memory of Scent and am hoping he writes about it sometime. Regarding your interview, it was fascinating to learn about the Muslim traditions regarding perfume … especially to learn that the scholars of the Prophet were apparently well-versed in perfume, and wafted such intense sillages! I am just a short plane ride away Suzanne. Bring the Borneo3000 and I will unlock the sold-out Khao Yai batch made from incense grade Oud. We can waft. I agree that they are treasures to last a lifetime. Fascinating post. Patience really is key to true quality. 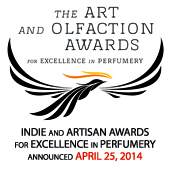 I’m happy to hear about both oud and sandalwood plantations. Good things are definitely worth waiting for. Thank you Anna. I am fascinated too. The beauty of sandalwood and oud oils is that they age beautifully; the scent intensifies and changes into ‘deeper and richer’. thank you for this fragrant insight into Islamic culture. I was first introduced to these delicate oils while visiting a friend following her marriage in Syria. Her and her husband received several viles of fragrance from her in-laws. Along with the fragrance itself, I was impressed by the presentation: the glasswork and wood casing indicated that these were truly precious oils! Maybe you have already posted on this topic, but I was hoping you could speak a little to the regional differences in fragrance choice? for example, what is favored in Lebanon as compared to Oman or Yemen? Thank you! Welcome Natalie. I like your idea. I have been exploring scent by city. Lebanon, Oman and Yemen would be great additions. Do you have any contacts in these locations? I will continue this research. Here are the City Scent stories. The first one has had 1,009,152 views to date – a Muslim woman’s perspective on similar topics to this interview. Fascinating. I love the idea of wearing perfume as a gift to others. However I guess it depends on the perfume! Yes that is a very beautiful concept. I wish people could leave videos on my sites. Just love that poem and the song written for it! My dream room is made of lapis and silver panels. In the meantime a glass studded with lapis will allow me to contemplate just how to achieve that room for writing. Eau my Magdalena, sandalwood! Is this dialect or Arabic Arabic? Hi buddy, been awhile since we’ve been in touch. I deleted both of my other blogs. New beginnings, fresh start with this new one. Did you publish your book yet? Write to me if you have the time, it’s always nice to hear from you. 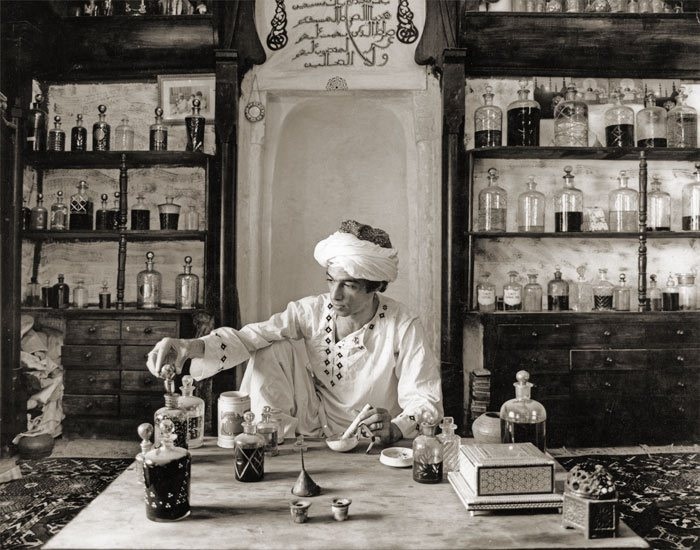 Nice to read your oudh stories. I am an oudh cultivator from Indonesia. This very interesting article dates back to 2013 (now it’s year 2015). And today we can hear about “sustainable Oud” and “new, synthetic ouds so perfect you can’t distinguish from the natural ones”. Hi , nice to read ur oudh stories, I’m from malaysia doing oudh also. What a lovely article. Thank you so much. Love and respect from India. Obviously I’m a few years “late to the game” with regards to reading and responding.. This article spoke to me in an almost ethereal way. It was as if each word and sentence evoked feelings long forgotten. Hope that doesn’t sound strange or odd. I’ll try not to gush so much going forward! !